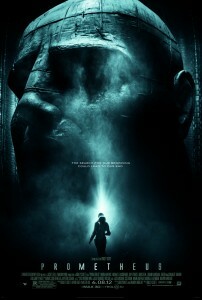 Last Sunday, I decided at the last minute to go to the local cinema and see Prometheus, the latest Alien franchise movie from the original director, Ridley Scott. I rarely make time to go to the cinema these days, but I figured I might as well try to catch this one. Elisabeth Shaw and Charlie Holloway are two explorers who find a clue to the origin of humankind on Earth, and they manage to get financed a journey to a far corner of the universe where humans is said to have their origin. While exploring the caverns of a distant planet, to their horror, they discover that things are not quite what they seem. Like I said, this is the latest in the somewhat successful Alien franchise, and although it’s not exactly a prequel (even if it originally was planned as one), it fits the story pretty well. We get to see what could very well be the beginning of the story, several human and xenomorph generations before the classic Alien movie from 1979 (“xenomorph” being an alternate name for the alien creature in this franchise). The story makes sense in a way, but as someone who’s seen the first 4 movies in the franchise, I did sense some inconsistencies in the story during one of the larger presentations (which would give the audience major parts of the backstory and the reason for the mission this crew was on). I also sensed this about three-quarters into the movie, at one of the major turning points, where we see the blunt end of a raging fit (to avoid spoiling the movie, I won’t go further into that). As far as the visual effects go, I’d say they did a very good job, although the biggest action sequence (which can also be seen in most of the trailers for this movie) gave me a sense of a stupid and unnecessary chase, as was pointed out on some comedy website (at the moment, I can’t remember which). I mean, if a wheel comes rolling aimlessly towards you, you may start running away from it. Wouldn’t it also be a good idea to avoid running in the same path as the wheel? But aside from that little annoyance, it simply looked amazing. I honestly couldn’t tell what was a visual effect, and what was done in-camera (even the things that looked too incredible to be real), and that tells me they’ve done their job well. I can recommend Prometheus to all action and sci-fi buffs, even if you haven’t seen the original Alien movies from before. Riley Griffiths and Joel Courtney in the scene of Paramount Pictures' Super 8. Back in late December (which was when I watched this, and started writing this review article), I received J.J. Abrams’ latest project Super 8 on DVD, which revolves around a group of early teenage filmmaking friends who witness, and almost get killed by, a derailing train in the middle of making a zombie film in the year 1979. Unknown to them in the moment, they also catch the event and aftermath on Super 8 film with the still-rolling camera. After the derailment, air force troops immediately appear to clean up the mess, while mysterious events happen in this small town. When the film roll is developed a few days later, the filmmaking friends discover what was really on that train, and they also find out the reason the military so desperately wants to keep it a secret. I wasn’t entirely sure what I’d get myself into, given J.J. Abrams’ recent history with what I consider as both good (Alias, Mission: Impossible III) and not-so-good projects (Lost, Star Trek), and his endless love with gratuitous lens flares (a feature of Abrams’ films that may or may not have been turned into some sort of drinking game). Then again, he has also paired up with legend Steven Spielberg as the producer on this project, which would hopefully bring the quality up a few notches. I don’t believe Spielberg would go for just any project out there – I’d think he would know “good” when he sees it (or fully trust those he enters into partnership with). Thankfully, the story itself comes across as good, and we follow the group of filmmaking friends more than external shots, meaning that we see the action more or less from their point of view, rather than being told from a distance. You can really immerse yourself into this story. Both the special and visual effects are in the place they’re supposed to, and are only where necessary. There are also a few things hidden in the background, and you won’t notice these until you’ve seen this film a few times (I was actually made aware of this in the behind-the-scenes featurettes on the DVD, and I went back into the film afterwards just to confirm those sightings). I did feel that there were a few missing plot points, and slightly silly antics that didn’t quite fit in (although they were very few), plus the unnecessary lens flares (yes, you can’t escape them in this one, either), which prevent me from giving this film a full score. But, as a whole, a great film. Absolutely recommended for the sci-fi buff. 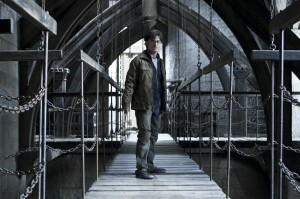 DANIEL RADCLIFFE as Harry Potter in Warner Bros. Pictures' fantasy adventure HARRY POTTER AND THE DEATHLY HALLOWS - PART 2, a Warner Bros. Pictures release. Photo by Jaap Buitendijk. The story has finally come to its conclusion. And what a conclusion it is. I went to see the latest – and last – of the Harry Potter movie series today, on its world premiere day, expecting a worthy end to a long running series. I haven’t read any of the books yet, so I was truly going into the theater blindfolded, not knowing exactly how things would turn out. I bought my ticket about a month ago, and spread across these weeks, I’ve re-watched the entire Harry Potter movie series from beginning to end; the first 6 on DVD from my collection, and the seventh (Deathly Hallows Part 1) was downloaded from a file-sharing site. I chose to download it (technically, that probably makes me a criminal) because, given their titles, I merely want to wait until the last one comes out on DVD to buy the last two together as some sort of box set or collection. And over the last week, I must’ve watched “Part 1” of this pair about 2 or 3 times, just to be buried deep enough into the story and not miss a thing when the final one would be released. That, and it’s really a great movie. Those who have read the books, probably already knows how the last film turns out in the end, and those who haven’t, are in for quite a treat as well. If I had to make a suggestion: Don’t watch Deathly Hallows Part 2 unless you’ve seen the previous 7 movies first. I’d say that’s a necessary prerequisite before watching this one, or you’ll miss out a great deal on the story. The movie picks up more or less where we left off, and the last scene from the previous movie (showing Voldemort) does make an appearance at the very start of the movie (before the title is shown). We are then returned to the beach safe house seen at the end of the movie, starting with Harry at the grave of *mumblemumblemumble*, mourning his friend (I won’t name names to avoid spoiling the end of part 1 for those who haven’t seen it yet). The trio (Harry, Ron and Hermoine) begin their plans for continuing the quest of finding the remaining horcruxes to destroy Voldemort, starting off at a certain storage location (again, not naming names to avoid spoiling too much of the fun). I can’t really say much more without spoiling too much of the whole story, which I think really says a lot about how much stuff that happens throughout the movie. I feel I can say this much, though: Yes, some people we’ve known in the movies for some time now will die, but they do so in such a manner (and are minor enough) that we can mourn the losses and move on, although the moment of finding out they died certainly was filled with sorrow. The movie’s story seems to take place in less than a day (not counting the epilog at the end), and is quite well-paced and filled with action. 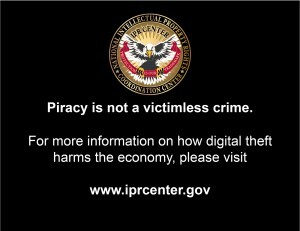 Aaaarrrgh! I want to say so much about the story, but feel that I have to restrain myself to avoid spoiling the details! We have followed these youngsters from a very young age, throughout about 7 years at Hogwarts and beyond, and along the way, these have become, at least in spirit, our good friends. It feels a bit sad to part ways with these friends, but it’s also a relief that so many bad things also come to an end. All in all, a perfect conclusion to a long story. Dale Denton (Seth Rogen, right) and Saul Silver (James Franco, left) are two lazy stoners running for their lives in Columbia Pictures' action-comedy Pineapple Express. (C) 2008 Columbia Pictures Industries, Inc.
Today, I managed to turn my attention to one of those movies I bought on DVD because they had some promise (based on what I’ve read and heard about it in advance), but never had a proper chance to actually watch it. According to a colleague of mine, I just had to see this one, and now was the time to do just that. Considering the theme (somewhat revolved around marijuana smoking), I was a little hesitant to go through with the viewing. Personally, I’m all for people smoking pot, weed, or whatever you’d like to call it, as long as you don’t overdo and are fully aware of the consequences. As the Cracked.com humor website recently pointed out, marijuana activists (if you can call it that, considering the dulling effect it has) often use bad arguments for legalizing marijuana, and about half of them came into play in Pineapple Express (more or less, it’s the top three of those five). Basically, what can be learned from this movie, is that smoking pot may make your life more mellow when smoking it, but it also makes you throw all logic and common sense out the window, which is what these two guys (Dale and Saul, played by Seth Rogen and James Franco, respectively) appear to be doing. Dale is a process server (ie. those who serve subpoenas to people on behalf of civil courts) who leads a pretty much successful life, using a wide range of creative disguises to fool his targets into acknowledging who they are and receive their subpoenas. He has a girlfriend who’s in high school, and he smokes pot every day (but hides this fact from his girlfriend). After getting a batch of new high-grade pot, with the exotic name “Pineapple Express”, from his dealer Saul, he goes on to serve his next subpoena to a guy named Ted Jones (Gary Cole), who he had found out might be Saul’s dealer, separated by a middle-man named Red (Danny McBride). While finishing up his current joint soon after arriving in front of Ted’s house, Dale becomes witness to a murder inside Ted’s house, assisted by a corrupt female cop, and all hell breaks loose. Dale throws away his joint and gets the hell out of there, ending up at Saul’s house again, telling his story. After finding out that Saul is the only one who has a “preview” of the exclusive Pineapple Express marijuana, the two of them decide to go on the run, since Ted is bound to trace back the source supplier of the joint Dale dropped outside of Ted’s place sooner rather than later. This erupts into a series of bad choices and decisions from the pair, as they jump from running away to finally fighting back. As I said, during their trip, not a single choice they make is bound by either logic or common sense, and I feel myself cringe at those moments in the film. And to make matters worse, they even take their time to refill their bodies with weed smoke, again, without thinking about the consequences, or sometimes even the fact that they are being chased by people intent on killing them. The movie does have its high moments (in more than one way), which does pull it back up on its feet, although whenever Dale’s girlfriend (and her family) is involved in the story during their chase (even on a minor level), it all becomes awkward, perhaps hilariously awkward for some people, but just plain awkward for me. This is more a little above the middle of the road in my case, although those more involved in the pot culture (either directly or in spirit) may enjoy it more than me. I, however, don’t plan to watch it again unless it’s suggested by others (once was enough for me). Over the last week, I’ve watched the first three “Pirates of the Caribbean” movies, just to catch up on the storyline, and on Sunday, I finally got around to watch Pirates of the Caribbean: On Stranger Tides, the fourth installment in the story of Captain Jack Sparrow, based on the Disney ride of the same name. And since the early showing was the 3D version, I decided to go for it. I’ve heard so much hype about movies in 3D, and having tried it briefly on my visit to Disney World and Universal Studios two years ago (although only for 5-10 minutes at a time), I thought I’d give it a whirl. To be honest, it didn’t impress me much. Sure, some segments had some “cheap 3D tricks”, such as pointing a sword in your face, and sitting in a small rowboat (making you feel like you’re sitting right across from the person). The beginning, with the 3D version of the Disney logo, and looking across the ocean in darkness, were quite impressive, but as the movie progressed, I got the feeling that I might as well could be watching the “regular” 2D version. And with the Norwegian tradition of subtitling everything in Norwegian when another language is spoken, it broke the illusion at a few points in the movie. Granted, the subtitles were “floating” in front of the movie (and was more or less unreadable when I removed my 3D glasses, just to double-check), but when a person was supposed to be closer to us in distance, at a eyeball’s measure being “in front” of where the subtitles were positioned, the illusion broke as soon as that person moved sideways to where the subtitles were. Also, the fact that the movie screen is a limited rectangle did its job of ruining the 3D illusion at some points. The movie itself was pretty good, though. 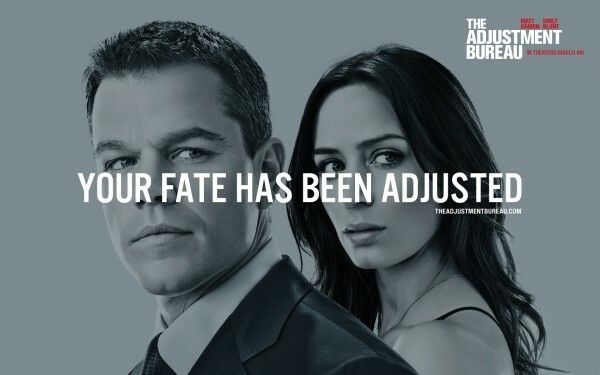 It did keep in canon with the rest of the movies, even though I missed seeing both Orlando Bloom and Keira Knightly from the previous movies, even if their characters’ stories are more or less done at this point. Only a few small cameo appearances would’ve been enough to satisfy me, though, just as some reassurance that their characters were still around. In any case, I’ll be looking forward to parts 5 and 6, which are coming out in 2013 and 2014 (if the rough release dates listed on IMDb can be trusted). Posted in blog, movies, reviews | Comments Off on IN THREE DEEEEEEE!!!! We start off with a monologue from Morgan Freeman (yes, I thought I heard a familar voice) about life on Earth, after which we’re introduced to Tom Cruise as Ray Ferrier, a crane operator at the docks. Not only that, he’s the best crane operator at the docks (this is Tom Cruise we’re talking about, remember?). He’s divorced and the movie begins with him having a couple of days with his two kids, Rachel (about 10-ish) and Robbie (late teens), presumably a weekend. On the morning of the second day, stuff starts to happen. An electrical storm knocks out all electrical stuff on various locations around the world, and the war is on! The huge war machines come up from the ground (and these have been down there for a very long time, even before the human race were done evolving, something which is annoyingly pointed out several times throughout the movie), and start zapping people and buildings. How will the human race survive? To be blunt, I spent some time clutched to the cinema seat at several moments, but these were not much than just that. Exiting moments, based on the fact of what the aliens’ weapons are capable of. Aside from those moments, the rest of the movie just barely hopped along the tracks. A few fun spots, but not particulary funny. Frankly, Spielberg could’ve done better than this. According to the trivia section on IMDb, the time from the beginning of filming this movie to the release date was about 7 months (compared to a couple of years with higher quality movies), something that is apparent in the general quality. The visual effects were top notch, there’s nothing to say about them; I had a hard time figuring out how the heck they did all that stuff, and what was real and what was not real (“real” in the sense of not being computer generated). Also, I have to say that the last 15-ish minutes before the final credits were a disappointment. During this last section I went “Hmm.. Huh. Right.”, which isn’t a good thing. A lot of my final score goes down because of this. 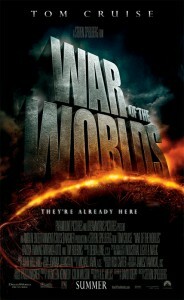 Knowing some of the story of the original “War of the Worlds”, I was more disappointed with the storyline of this one. I just have a feeling that Spielberg and Cruise were after a quick Academy Award (for actor performance and for special effects) and a quick load of cash as well as just having something to pass the time in-between other, larger projects. Sorry, guys. When I hear the names Steven Spielberg and Tom Cruise, I expect something better than this.